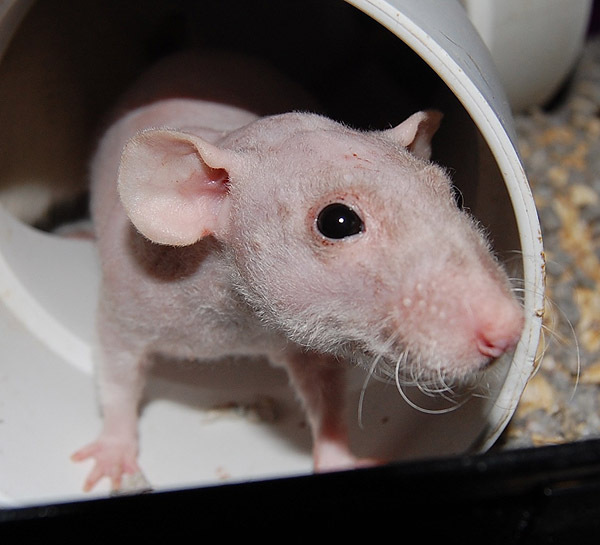 The lovely pink Pancetta was one of a group of over 30 hairless rats rescued in BC from a feeder breeder who had become overwhelmed with their care. 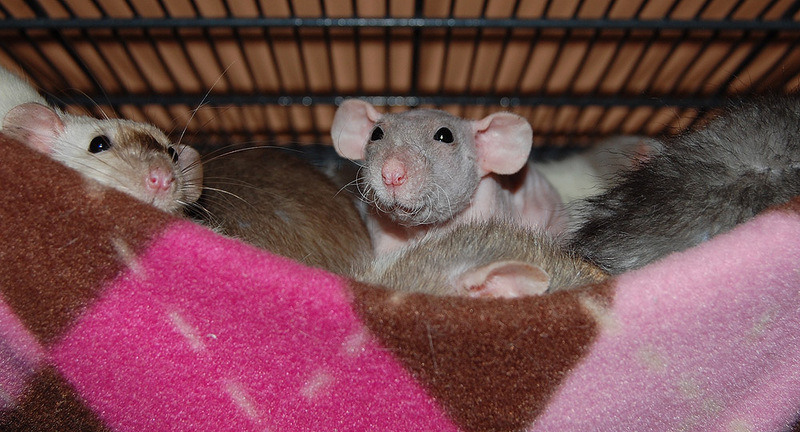 Despite a bit of a rocky start in life, Pancetta has zero fear of humans or cats or other rats or Bigfoot or great white sharks or pretty much anything. 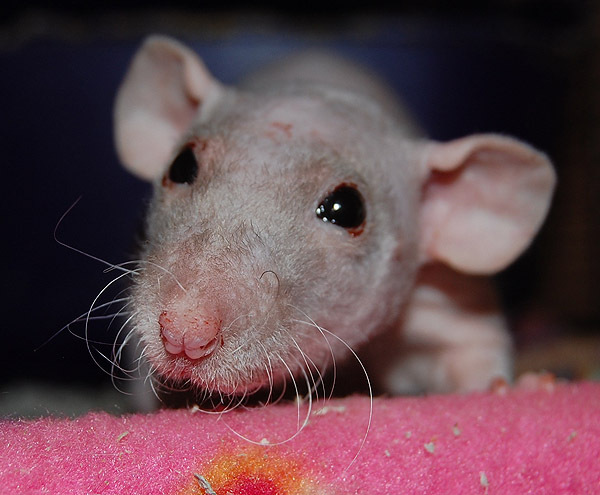 She was lovingly fostered by the rescue organization and we were lucky enough to host her and some siblings for a couple of weeks while they were picked up by folks in the Seattle area to go to their forever homes. 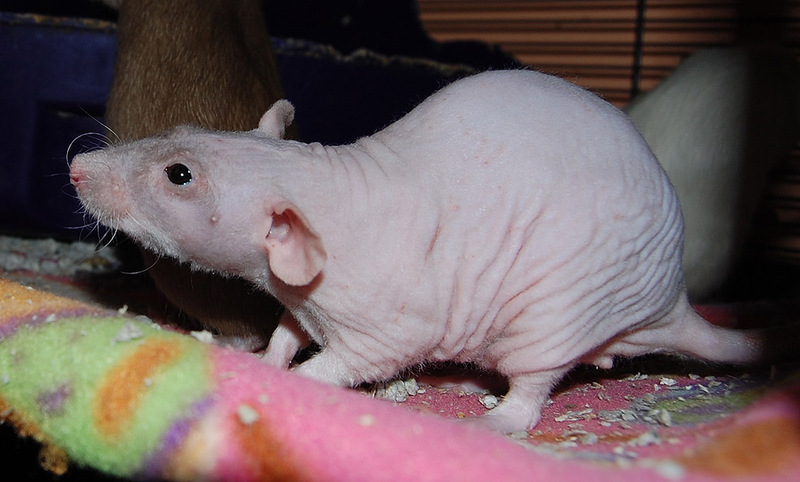 Pancetta earned her name as my spouse determined that they all looked like little hams. Delicious as she may be, nobody will be dining on our lovely lady here. We're hoping to get her to consent to wearing little sweaters when the weather gets cold, but I suspect she'll have some objections to silly human fashion.